Enjoy a true wilderness experience, on the edge of the forest, in the popular Ngorongoro Crater Conserve. A striking and luxurious Pacific Dome camp, designed for Asilia Africa, is a perfect balance between wild and elegant escapes. With tours of the conservation area ( home to leopards, buffaloes and elephants) you will follow the ancient Maasai trails to the summit of the Olmoti Crater and visit local communities to catch a glimpse into the traditional way of life. Daily life here is much unchanged in this hidden treasure of Tanzania, of West Africa. The famous Ngorongoro Crater is a highlight of your camp experience, with activities and adventures that will Awe the soul. 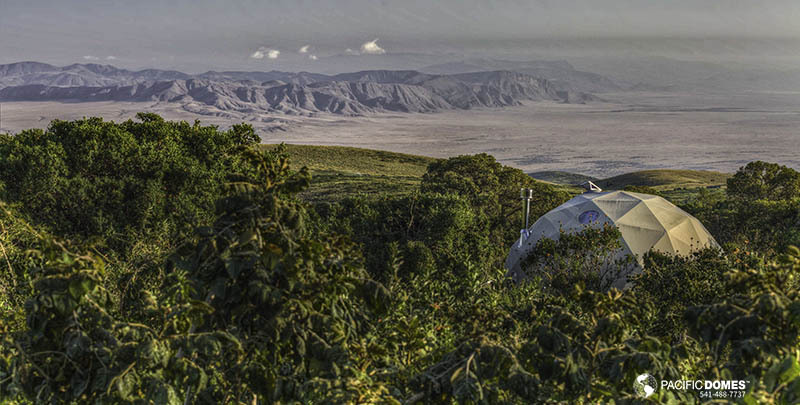 Pacific Domes has created many award winning dome camps, raising the bar for high-style, low-impact wilderness adventures, and the Asilia Africa redefines the Ngorongoro experience by introducing Pacific Domes to the Safari. Artistically perched on the slopes of the Olmoti volcano, guests enjoy expansive views, reaching to the Serengeti in the privacy of a dome, surrounded by their own private wilderness. Eight Pacific Dome suites, originally inspired by the traditional Maasai bomas, dot the hillside. Warm, intimate and contemporary, this is definitely the perfect place to discover the wild and pristine Crater Highlands and view the wildlife. 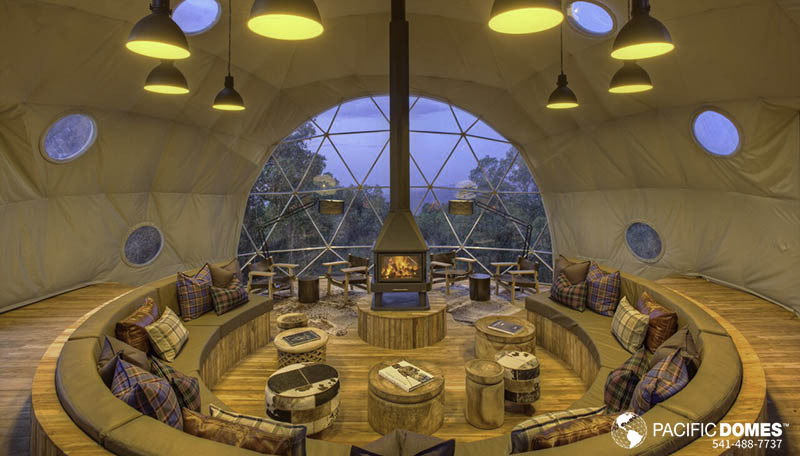 The traditional East African campfire experience lights up the heart of the dome camp with an authentic indoor fireplace. End your day with entrancing flames, a good book from the library and tea or a drink from the elegant bar, to unwind in comfort and style.